How is self-expression through art useful to the healing of and tending to the soul? Within the containment of the Art Therapy Studio, making art allows clients to explore realms of knowing beyond the verbal in ways that can be soothing and enjoyable. Self-expression through art can help people bypass the internal censors and enter into the flow state of creative process. Art awakens the feeling sense. Playing with art materials as well as creative writing and body movement opens up access to the inner child as well as the body’s innate knowing so that messages from the soul can emerge and inform a therapeutic process that can be powerful beyond words. 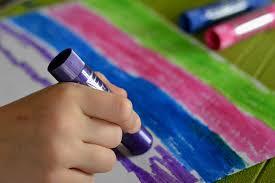 One does not have to consider oneself an artist to benefit from Art Therapy. Every one is an artist based on the belief that we are all born creative beings and it is our birthright to use and express our creativity. There is no good art or bad art; in art therapy the work is a process of discovery and meaning is made entirely by the artist-client, with the support of the therapist. Making meaning within Art Therapy is grounded in symbolic and metaphoric levels of the psyche so it has a kinship with the dreamtime, the spirit world, the ancestors and the visionary. The Cree people have a tradition that recognizes seven healing fires: singing, dancing, laughing, talking, listening, crying … I see art therapy as akin to these universal healing fires as it can employ all of them along with image making and dialoguing with images created in session. My approach to art therapy is to invite clients to play with art materials and discover whatever healing insights emerge within the creative process. My role is to create a safe space for the process and be present with the artist’s therapeutic process as needed. Art making can be very effective with children as it is a way for them to tell their story through their natural state of play without needing to explain with words how they feel if they don’t want to. Children can stay in the realm of imagination and metaphor (as far as the children are concerned) while I work closely in consultation with parents regarding issues facing the child and family. Art Therapy is a very effective support system for children and you living on the Autism Spectrum and/or with any number of behavior issues. Playing with art materials and the being with the symbolic language of images and object is a powerful catalyst for integration no matter what issues are arising in life. My role as art therapist is to support the artist to clarify intent, hold a container for the process and support integration.